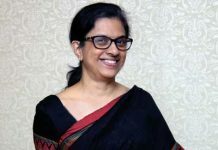 Mumbai: Post success of its’ first DBS Hack2Hire last year, DBS, Singapore’s largest bank and a leading bank in Asia, today announced the second edition of this novel recruiting programme in India. DBS Hack2Hire 2018 aims to hire over 100 of the brightest tech sparks from the best technology skilled professionals that India has to offer, in emerging and disruptive technologies. This will double the number of technology talent that the bank has hired through the same programme in 2017. 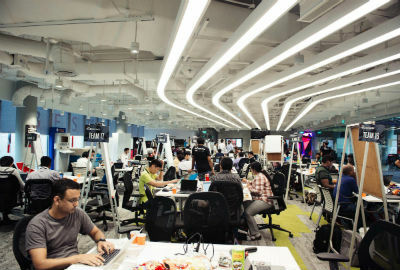 This year, DBS Hack2Hire will look to expand its scope beyond developers, data scientists and system engineers and target more skillsets needed in an all-rounded, agile technology team. These eight categories are scrum masters, solution architects, mobile application developers and user interface and user experience designers. The DBS Hack2Hire programme consists of two parts. The first part is an online technical assessment designed by DBS’ technology team to gauge the base skillsets required for the jobs. Those who pass the online technical assessment will then hack their way into solving real-life business use cases in a team setting using their technical, analytical and problem-solving skills in under 24 hours. Successful candidates will be offered a job within the same day at DBS Asia Hub 2 (DAH2). DAH2 in Hyderabad is DBS’ largest tech hub outside its home market of Singapore. DAH2 supports the bank in strengthening its technological capabilities across the region as well as its digital banking strategy. Over the last five years, DBS has made significant investments in strategic technology initiatives to weave banking into the everyday life of its customers so that they can spend more time on people or things that they care about. This includes initiating a comprehensive re-architecture of the bank’s technology backbone as well as catalysing a change in culture within the bank to one that is more “startup-like” in nature. DBS’ digital-first strategy has enabled it to broaden its footprint in growth markets like India and Indonesia without expensive physical distribution networks. DBS has been recognised widely for its digital leadership, including being named “World’s Best Digital Bank” by prestigious financial magazine Euromoney in 2016.